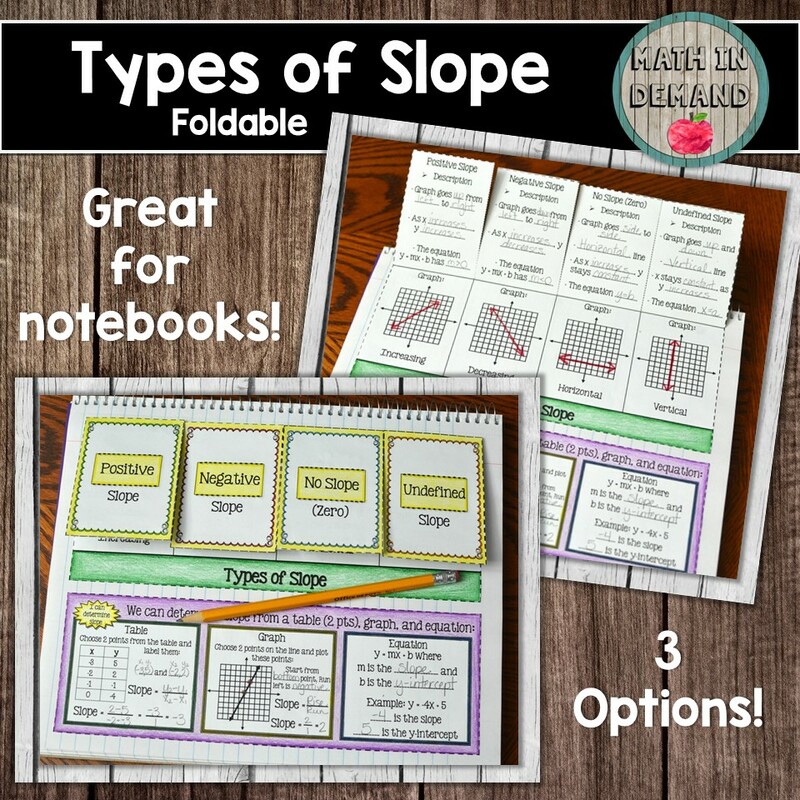 Included is a foldable on the different types of slope. 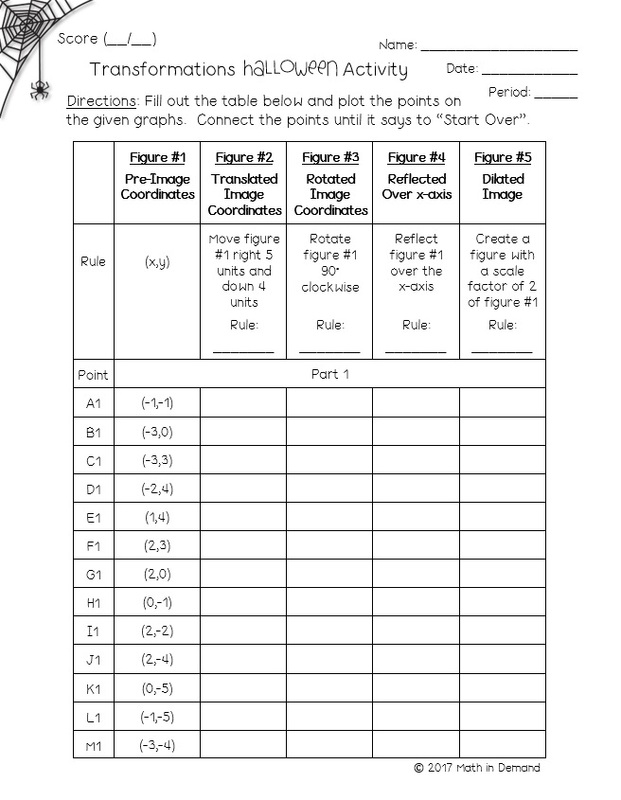 This foldable is a great way for students to distinguish the difference between a positive, negative, zero, and undefined slope. In addition, students will learn how to determine the slope given a table (or two points), graph, and equation. There are 3 options for this foldable: (1) fill-in template, (2) blank template, and (3) answer key template. 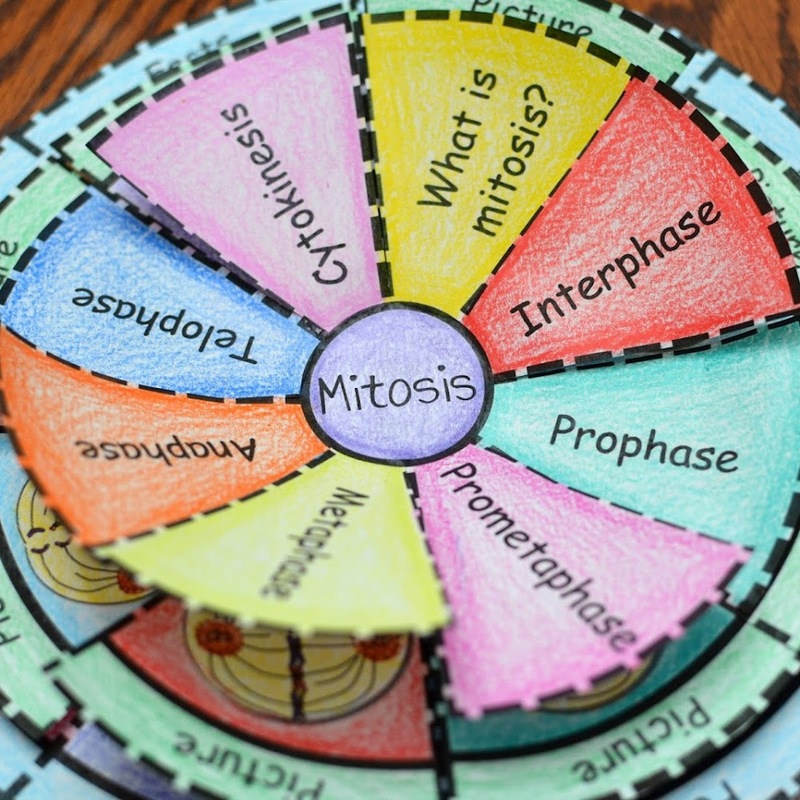 This makes it great for differentiation! You can purchase my foldable by CLICKING HERE. I've got a Halloween freebie for you!!! Students will be writing linear equations given two points. I hope your students enjoy it! You can download this freebie by CLICKING HERE. I have decided to update my Transformations Halloween Activity. 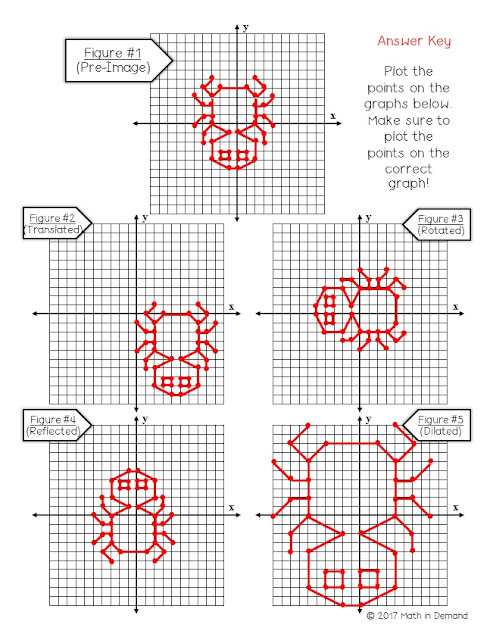 Students will graph coordinates that form a spider. Students will reflect, rotate, translate, and dilate the spider to form 4 new spiders. 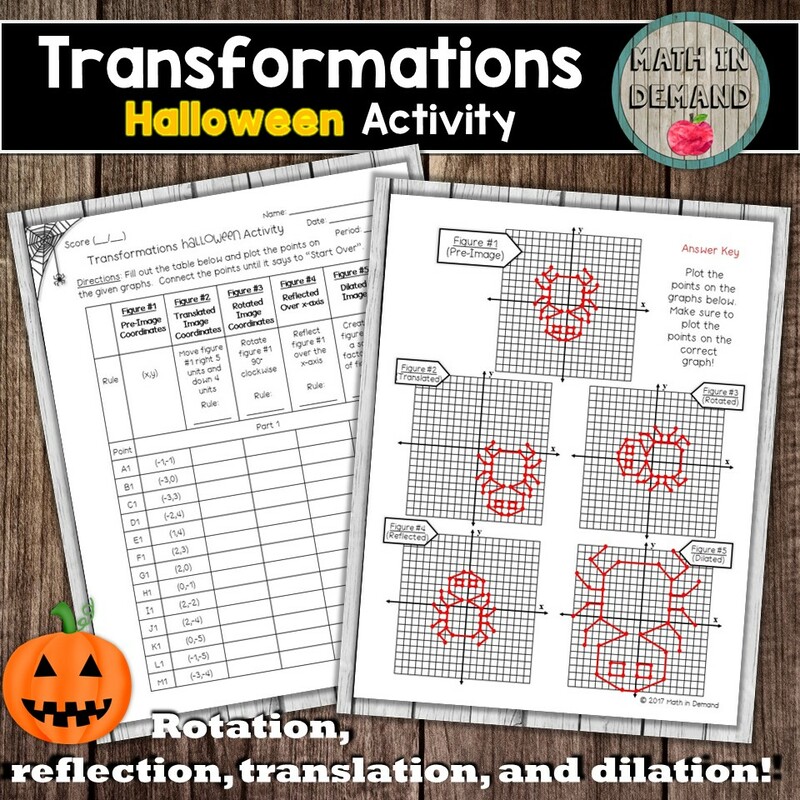 This is a great activity that show the difference between the 4 transformations. Is anyone else as excited as I am that Halloween is coming up next month?! 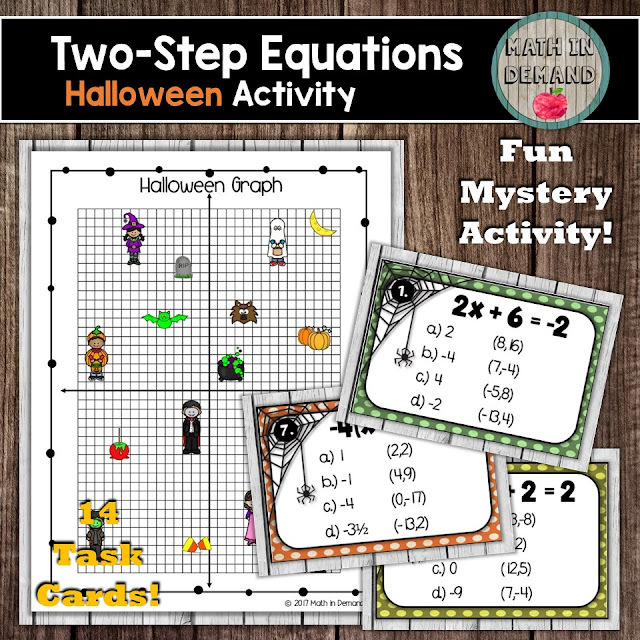 I couldn't help but make a Halloween mystery activity that I know your students will love! Included is 14 task cards on solving two-step equations. Students are called upon to be detectives and determine who stole my Halloween candy! In addition, they will need to determine which weapon was used and where it took place. Students will solve a problem then look for the multiple choice answer on the task card. Once they find their answer, they will be given a point. They will look at the graph provided and determine which suspect, weapon, or location has been eliminated. Your students will have so much fun with this mystery! I also have this same activity for one-step equations. You can purchase my TWO-STEP equations Halloween activity by CLICKING HERE. 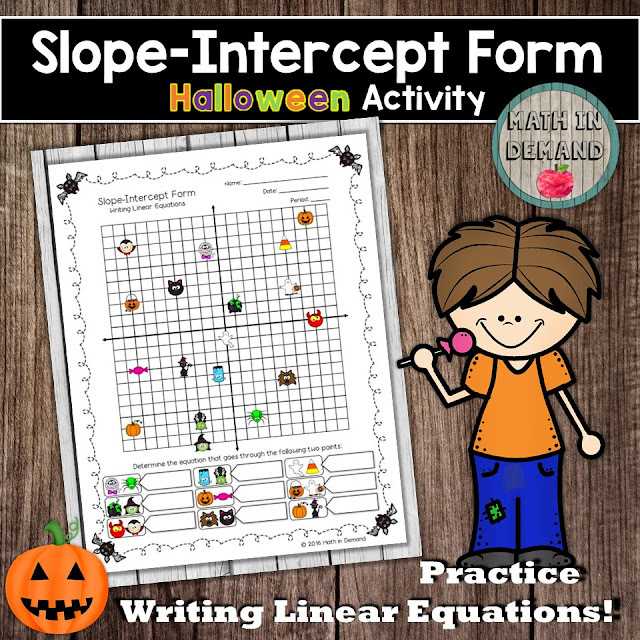 You can purchase my ONE-STEP equations Halloween activity by CLICKING HERE. 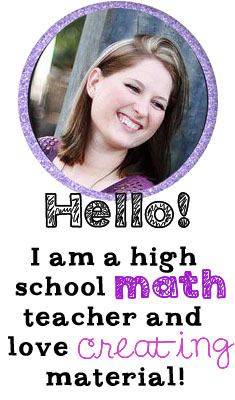 I'm posting one more freebie today even though you can find a lot more new freebies in my store. This freebie is on number sense. This includes adding, subtracting, multiplying, and dividing integers, fractions, and decimals. 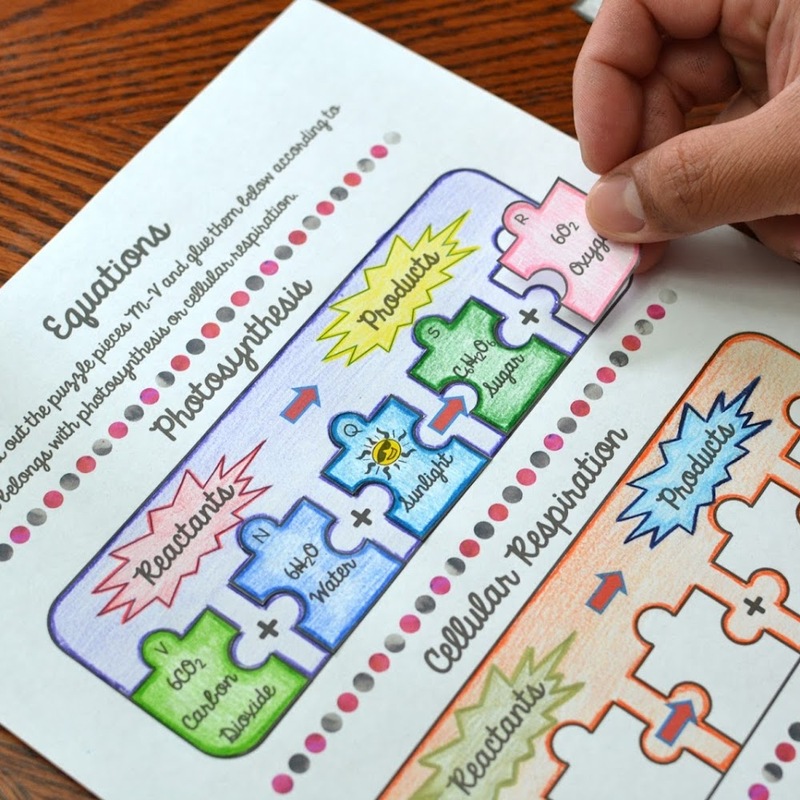 This cheat sheet looks great in interactive notebooks or laminated. 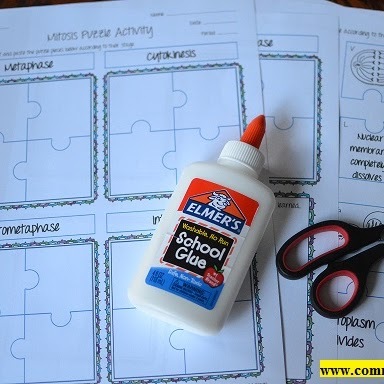 If you laminate, you can use this year after year! You can download my cheat sheet for free by CLICKING HERE. Here is another cheat sheet freebie on transformations. This includes reflections, rotations, translations, and dilations. 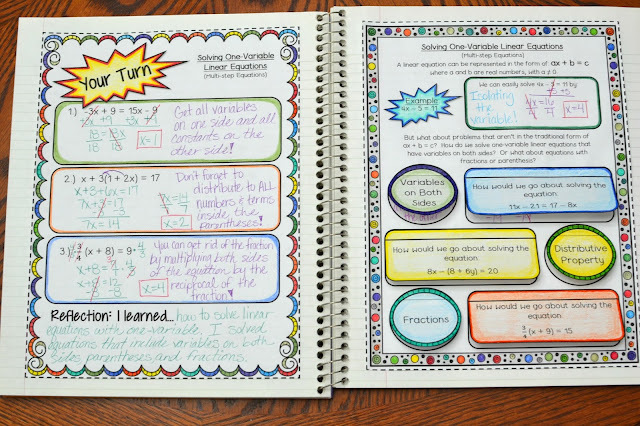 You can have students place their cheat sheet in their interactive notebooks or laminate it and use year after year! Volume and Surface Area Cheat Sheet FREEBIE!!! Today is exactly one month since I have posted anything new! I promise that I have SOOOO many new items and FREEBIES, but just haven't had a chance to post about them yet! For example, I have a freebie on Volume and Surface Area. 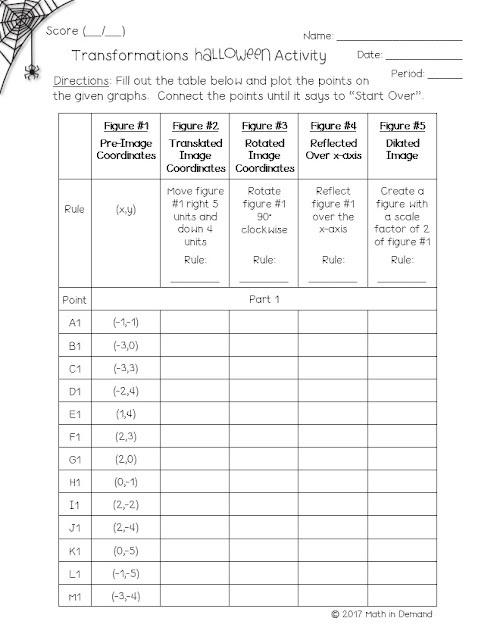 Included is a cheat sheet for volume and surface area formulas of three-dimensional figures. The figures included are sphere, cone, cube, cylinder, rectangular prism, triangular prism (including isosceles triangular prism as well), and rectangular pyramid. This works great as a cheat sheet when students are working on problems involving calculating the volume and/or surface area of these figures. There are many ways that you can use the cheat sheet. You can have students glue the cheat sheet in their interactive notebooks, or you can laminate the cheat sheets and use year after year! You can download this cheat sheet for free by CLICKING HERE.